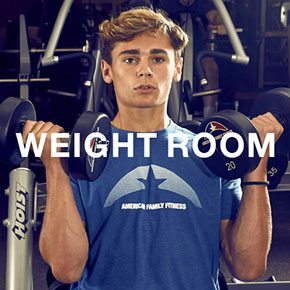 At American Family Fitness, we believe this is the best place for your strength training as we offer a wide range of weight machines, free weights, and functional training equipment! Whether you are new to this or are a seasoned pro, we have what you need to succeed! Build muscle mass, boost stamina, and improve weight loss. How? With strength training at our gym in Fredericksburg. 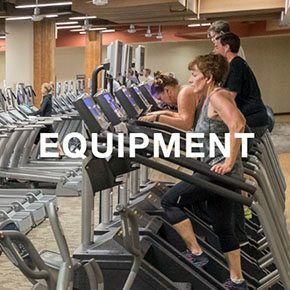 We have the equipment you need -- single station machines, free weights, and dumbbells -- to help you power up your fitness and take you to the next level. Strength training is important to overall fitness. When strengthening properly you have the ability to improve fat burning, joint protection, and energy levels. 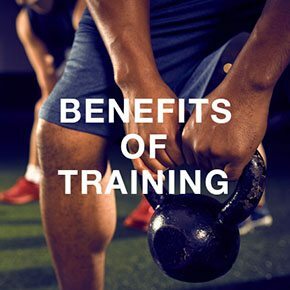 Strength training can also increase muscle mass and improve your basal metabolic rate. Come visit us at our gym in Fredericksburg to learn more. At the best gym in Fredericksburg, we offer our members a wide variety of weight machines, free weights, and functional training equipment. We are also proud to provide equipment to strengthen all muscle groups and improve muscular endurance. At our Fredericksburg gym, we believe safety is paramount, and so our equipment is consistently and thoroughly inspected. We also believe it is important for our members to be educated in proper technique, and so explanations are provided at each machine. We also have our personal trainers on standby for guidance, if needed.